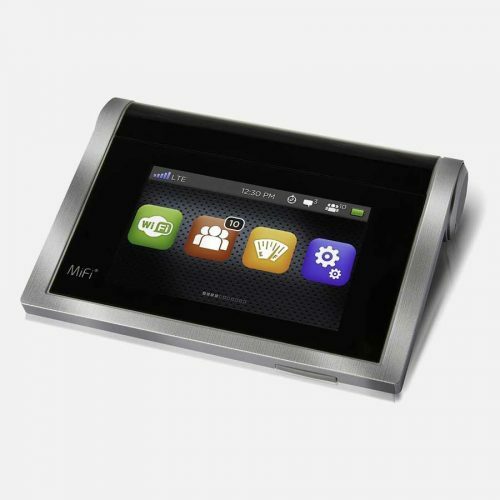 The Netgear Mobile 340U is a fantastic unlocked hotspot and the perfect choice for the sophisticated gentleman or lady who needs to connect to the internet from anywhere and would prefer the hotspot to plug directly into his/her device. Mobile devices and a permanent internet connection, whether via WiFi or mobile data, is nothing new of course. But what about Laptops? Despite the seemingly obvious benefits, manufacturers have yet to start adding SIM card slots to anything above tablet size. Yet sometimes there are tasks you just can’t do on a phone. That leaves laptop users either tied to a dongle contract with their mobile carrier, or looking for an available WiFi hotspot. Or it did, until now. The Netgear WiFi Mobile 340u USB Modem now allows laptop users to utilize mobile data quickly and easily on any compatible network around the world. No longer will it be necessary to try and fill in a spreadsheet on a screen just 3 inches across. Nor will you be be forced to look at often inadequate mobile versions of your favorite website. Yes, we sure do! 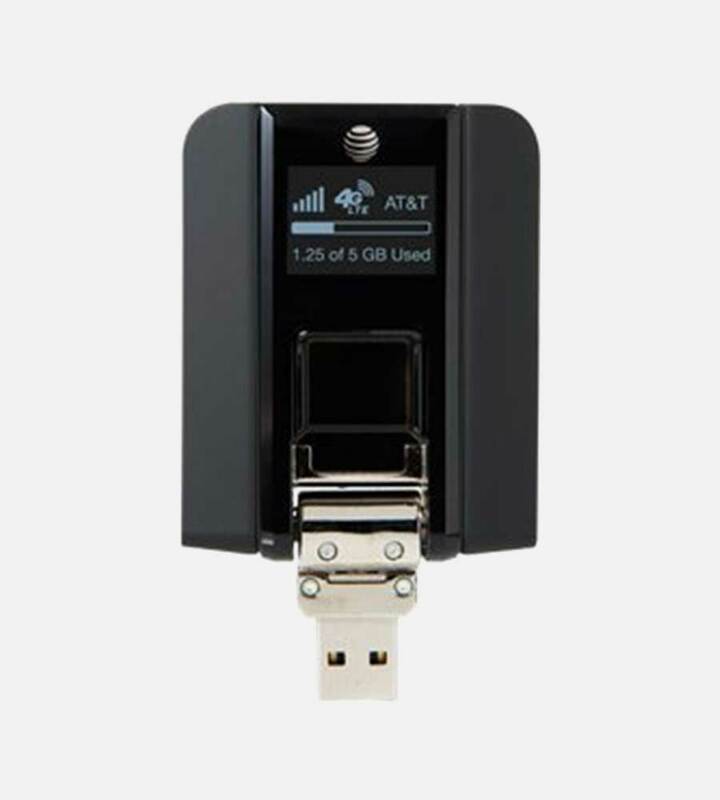 This USB modem was created by Netgear to serve the public via a network plan. AT&T bought it out by asking for its logo and bloatware to be included in the device, for exchange to making sure it sells. And sell it does. But being locked to a network makes things all the more tricky. No longer do you have the option of choosing which service to go to for your data. We saw this issue, and set about helping the customer. 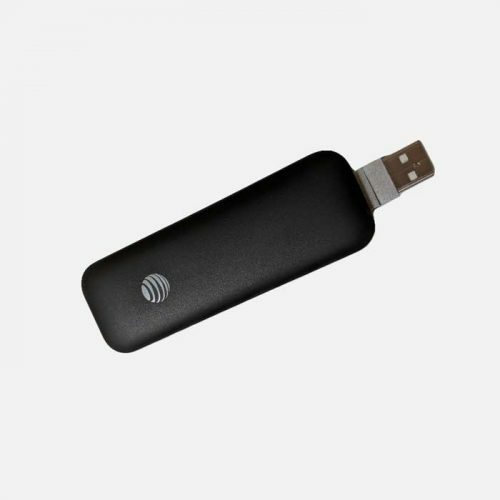 This modem is therefore fully unlocked to all GSM networks and you may now choose the network you so desire. Not everywhere provides free WiFi, so what do you do when travelling or when you’re too far away from the local hotspots? You use your phone, of course, which makes any kind of serious task impossible to complete. With the Netgear WiFi Mobule 340u USB Modem, you can now connect your laptop to the carrier of your choosing in over 200 countries around the world. Just pick the one with the most favorable terms for your needs, with no long contracts or eye-watering roaming charges to worry about, pop the SIM card into the 340u and you’re away! Now, all those things you couldn’t do before because you needed a file from Google Drive or there’s a large email attachment you desperately need to have access to are available to you wherever you are. The Netgear WiFi Mobile 340u USB Modem simply plugs in to an available USB 2.0 socket on your laptop, and immediately launches into its own built-in setup sequence. There’s no CD to load or drivers to download, the 340u does it all for you. A minute or two later, you’ll be able to connect to your chosen network. But why USB 2.0, you ask? Why not USB 3.0? The fact is that, although USB 2.0 has been superseded by the much faster USB 3.0 standard, even the theoretical maximum speed of 4G (150Mbps) is far lower than the 450Mbps available from USB 2.0. Also, given that real world 4G speeds actually come in at somewhere between 15 and 40Mbps, you can see that USB 2.0 is more than enough. It also means that, if you want to use a hub or USB extension, USB 2.0 compatible accessories are much cheaper and much more widely available than USB 3.0. At less than 2 oz and about half the size of a business card, the 340u will just slip right into your pocket or laptop case without adding weight or bulk. The USB connector is hinged, so it folds neatly into a recess on the device itself, reducing the risk of accidental damage or snagging. The 340u also draws whatever power it needs from your laptop via USB, so no external power supply or cable is needed. Did we say True Plug ‘n Play? We meant it. Okay, so the Netgear Mobile 340u may be a little bit outside the envelope, but it still comes in a box. What you’ll get is the Netgear WiFi Mobile 340u USB Modem (naturally) and a USB extension cable. 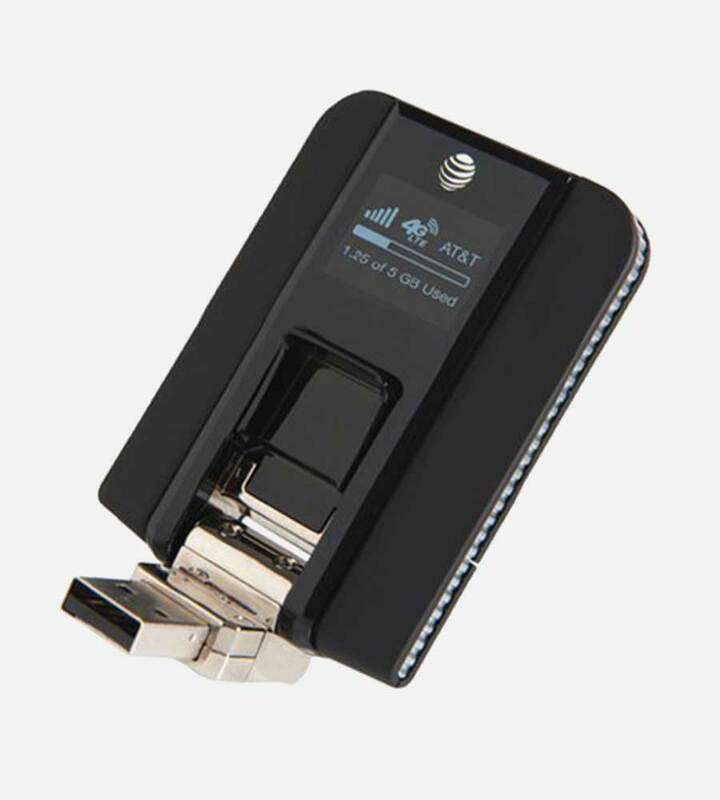 It also includes a clip to attach the 340U to your laptop screen so you can keep an eye on how much data you’ve used. Oh, and a Quickstart Guide that we’re pretty sure you won’t need but we’ll mention it anyway. Staying connected on the move is no longer an option for most of us. This is especially true for those whose work life takes them away from home on a regular basis. 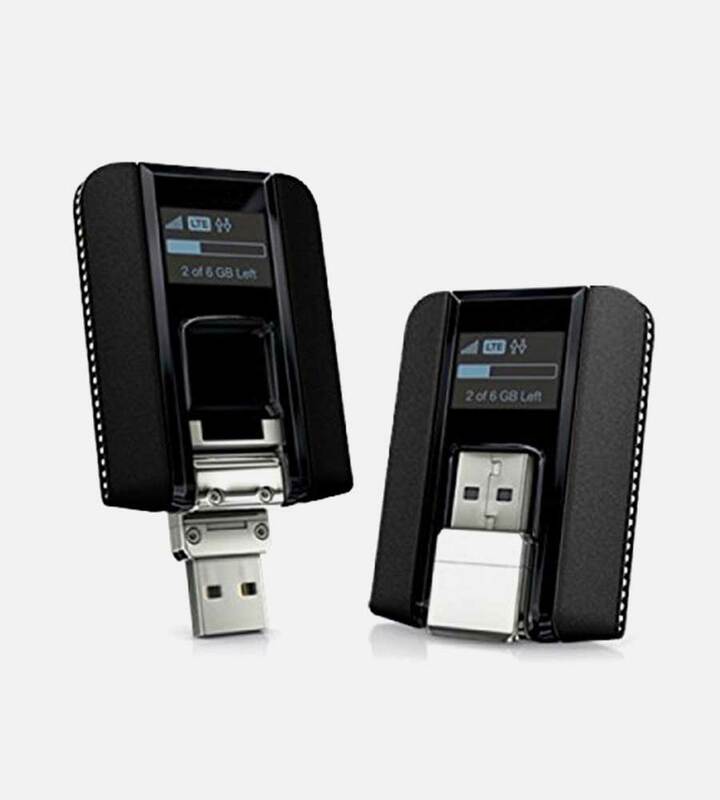 The 340u takes all the pain out of staying in touch with both people and those crucial files you have stored online. Modem 340u is a tiny bit of magic that soon make you wonder how you’ve managed all these years without it. And you won’t even need to drink terrible coffee that you never wanted in the first place.